Date/Time/Location: Check back soon for 2019 event information. Tickets: $20/adult or $5/children (ages 2 – 12), online or at the door. Purchase tickets online. This special performance will feature several dances by City Gospel Mission’s Princesses Ballet outreach program. 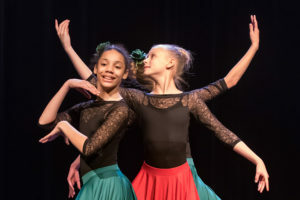 All proceeds will help fund City Gospel Mission’s Princesses Ballet program, designed to build character, self-esteem, and teach the value of teamwork and work ethic in at-risk girls. For over 13 years, Princesses Ballet has been a model of success in helping at-risk girls in Greater Cincinnati to break the cycle of poverty. Led by Gordon Havens, our girls learn self-confidence, hard work, discipline and teamwork. The program began in 2005 with just 8 girls and has undergone great expansion, growing to 19 dance sites this year! Today the program serves over 500 girls delivering over $600,000 in free dance lessons and dance camps to those who want to experience the joy of dance but whose families do not have the resources to provide that opportunity. For more information on sponsorship opportunities please download the 2018 Princesses Ballet Sponsorship Packet and Sponsorship Form. You can also make your sponsorship payment online here. To learn more about the event, please contact Matt Baker at mbaker@citygospelmission.org.